During Sonic Boom’s initial revealed early this year, I was left speechless, especially after witnessing the change of character designs. After learning that Big Red Button, which consists of former members of Naughty Dog were going to be responsible for the Wii U version, I decided to a least give it the benefit of the doubt. However, the more I involved myself with this title, the more I realized this game was going to wind up to be another disappointment. 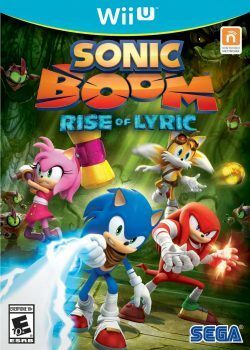 Sonic Boom takes the franchise to a whole new story, taking place thousands of years ago when an advanced race called The Ancients lived in harmony with technology and nature. Among them, there’s Lyric who was forced to wear a mechanical suit to sustain his life, and so he became obsessed with destroying all organic life and replacing it with machines. Like most Sonic titles, the game begins with Sonic and company battling with Dr. Eggman and Metal Sonic. However, Sonic inadvertently frees Lyric, who was trapped in a stone statue. Now in this adventure, the gang has to stop the ancient menace from gathering the magic crystals he needs to complete his plans, as well as battle Eggman and his henchmen along the way. 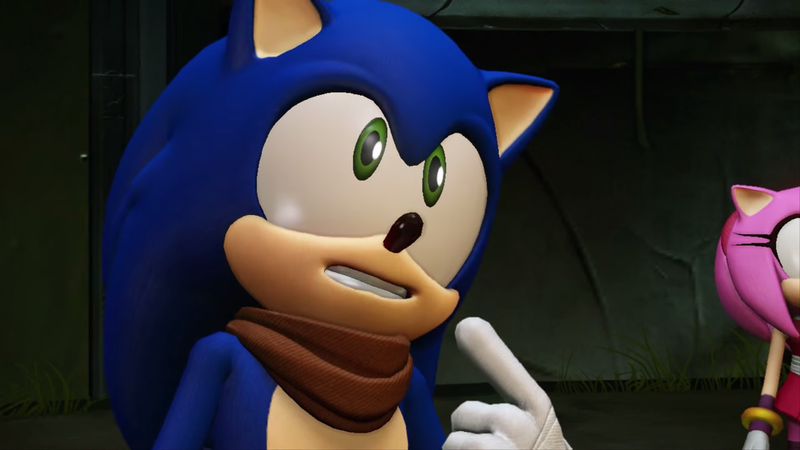 Sonic Boom’s story has to be one of the worst in Sonic games so far, as if it was pulled straight from a kid’s show. But that’s to be expected considering the franchise has a spin-off show currently airing in Cartoon Network. While the game has decent voice acting, most of the dialogue is intolerable and I cringed every time they opened their mouths to talk. The game plays similarly to the Ratchet and Clank series, which isn’t exactly a bad thing. 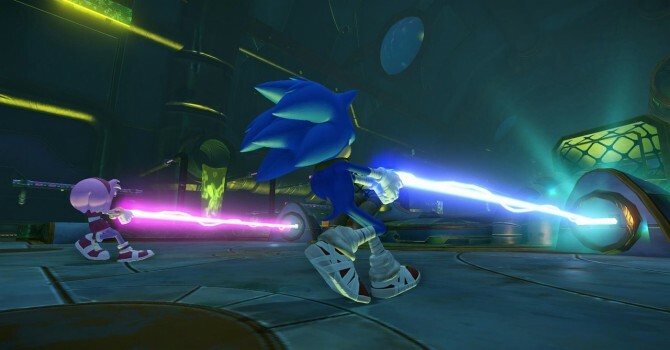 However, the game is missing one crucial factor included in all Sonic games: “speed.” What separates Sonic from other games is the fast paced gameplay included in the games, and while his other signature techniques like his homing attack and as well as his spin dashes are included, it isn’t the same. 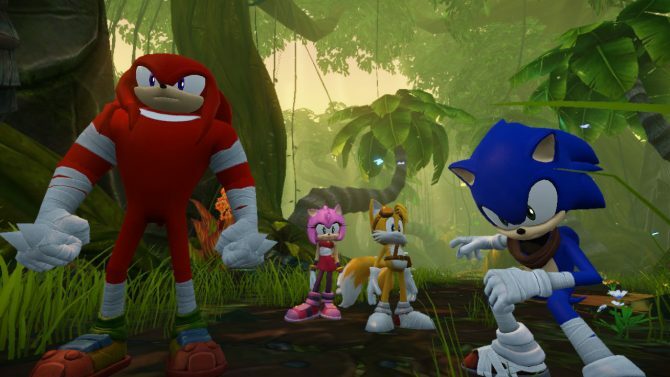 Alongside Sonic, you also will be able to choose Knuckles, Tails and Amy during your adventure, which excel on an ability that contributes to your adventure. For example, Amy has a triple-jump that makes her a more agile explorer than the other characters, Knuckles can climb ruby-encrusted walls, Tails can fly and summon little robots to shut down machinery out of reach, and Sonic can spin-dash to zoom up curved ramps or bounce between hovering orbs. Using all four characters and their different abilities is certainly nice but sadly the lack of variety in the gameplay mechanics, that for the most part consist of just spamming a single button to attack through the waves of enemies, can get boring pretty fast. Everyone has a single attack combo, as well as a midair stomp, a charged attack, and an energy lasso that can tie and throw enemies around. The platforming in the game can be somewhat enjoyable; it switches between open-world to a 2D sidescroller view. Each level gives you a series of puzzles that you must complete to proceed to the next level. While the levels are tolerable, they aren’t much different compared to other generic platforming games. 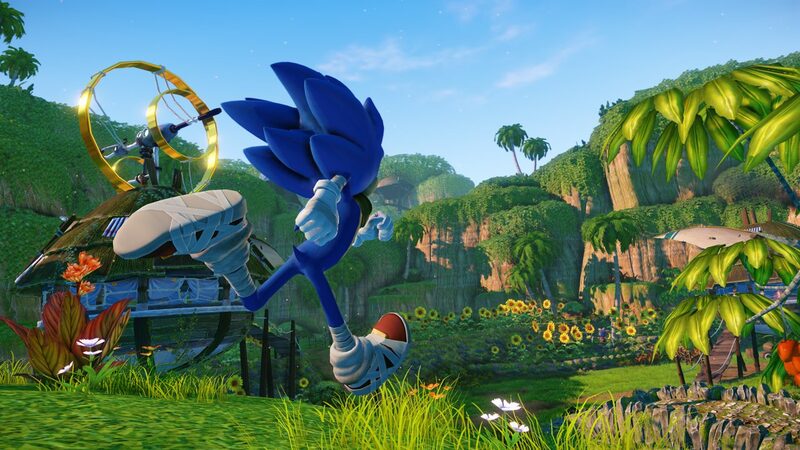 Similar to the Sonic Adventure games, the game is set in an open hub world. Between levels you may explore two huge islands and complete side quests for their inhabitants in order to earn Power Glyphs to enhance your heroes’ abilities. Sadly, most of these side quests are awfully basic and feel like a chore to complete. Additionally, each character is only allowed to equip one glyph, which means you can have only four enhancements active at one time. 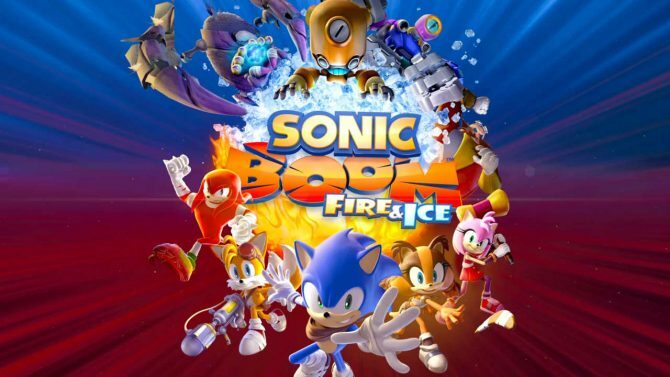 It’s important for an open exploration game to give you an enjoyable experience while venturing through the game’s world and completing the game’s tasks which Sonic Boom fails to deliver. Exploring through its dull environments became a chore, not to mention its horde of enemies won’t let you move on until they’re all in pieces. As expected from Sonic games, the amount of rings you have in your possession determine how much life you have, which will be capped at 100. However, every environment in Rise of Lyric is full of rings everywhere you go. The death penalty in this game is pretty light. If you were to die you’ll just respawn nearby, with your enemies just as weakened as you left them, hindering any sense of difficulty. Despite the dialogue, the vivid cutscenes alongside the voice acting of the game was enjoyable, but sadly that stops there. 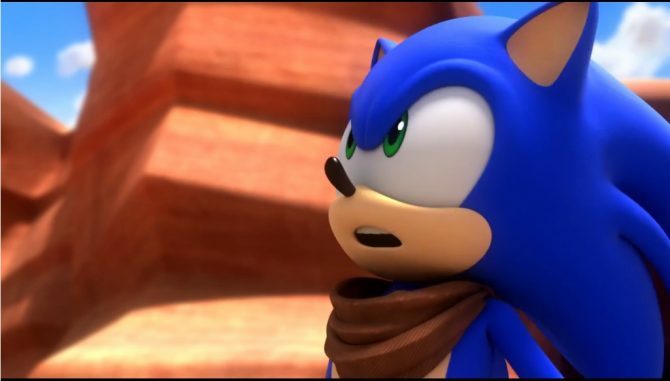 While I appreciate Sonic Boom’s cartoon visuals, a lot of times the game looks as if it was from two generations ago, and sometimes even more incomplete than that with the inconsistency in character models. One positive here is that I didn’t encounter any of the technical glitches, bugs or other oddities plastered all over the internet by other players. Most likely you won’t encounter the same issues during your own playthrough, as they seem to require some obtuse steps to activate. While Sonic Team wasn’t responsible for this title, it’s disappointing that after receiving a decent streak of enjoyable Sonic titles starting from Sonic Colors, the franchise have gone downhill once more. 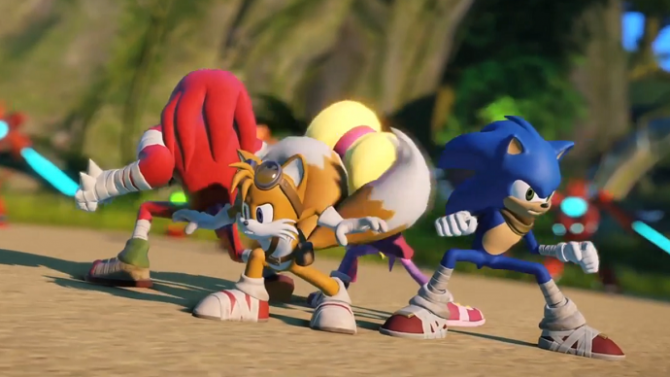 Hopefully the next Sonic title can be as great as Sonic Colors or Sonic Generations, or even as decent as Sonic Lost Worlds, but coming from former Naughty Dog members, this was definitely a letdown.